Clúid Housing in partnership with Cork County Council, broke ground on Tuesday a development of 40 social housing units in Cappagh, Ballinacubby, Kinsale. The scheme, which comprises of 18 two-storey two-bed and 20 two-storey three-bed houses as well as two single storey two-bed special needs dwellings, has a construction value of €9.7m. The Contractor appointed is MMD Construction Cork and this project is due for completion in 20 months. Clúid Housing’s New Business Manager James O Halloran said, “Breaking ground today on the site in Kinsale marks an important milestone of a journey that will end in 2020. Clúid already has a strong profile in Cork with over 900 houses throughout the city and county and we are delighted to continue to meet the housing needs of the county. 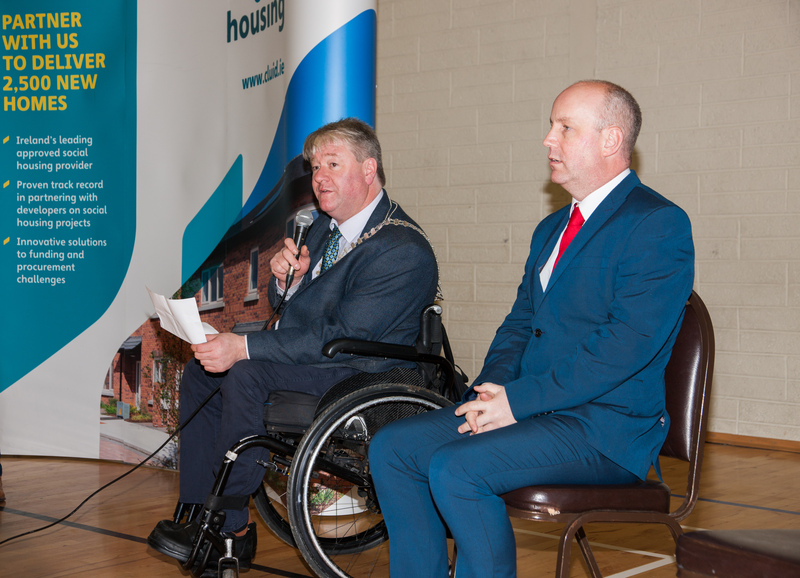 Clúid will finance the construction of these units through a combination of a Capital Advance and Availability Payment from the Department of Environment Community and Local Government (DOECLG) and a loan facility with the Housing Finance Agency (HFA). Jim Daly T.D. 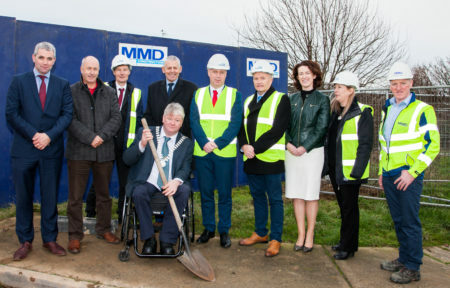 Minister for Mental Health and Older People, Cork South West, added; “Today’s sod turning is a significant milestone in this multi million euro development at Radharc An tSaile. This investment of forty, two and three bedroom houses, will deliver good sustainable homes to families in the Kinsale area. Good housing initiatives provide the cornerstone to building real inclusive communities, and this housing development at Radharc An tSaile will contribute to the vibrant and good spirited community that already exists in Kinsale and surrounding areas. Clúid Housing is the largest housing association in Ireland, delivering over 6,500 high quality, affordable homes to people in housing need all over Ireland. Housing associations are independent, not-for-profit charities. Clúid hopes to deliver a further 2,500 new homes in the next three years and is keen to partner with local authorities, developers, state agencies and financial institutions to make this happen.